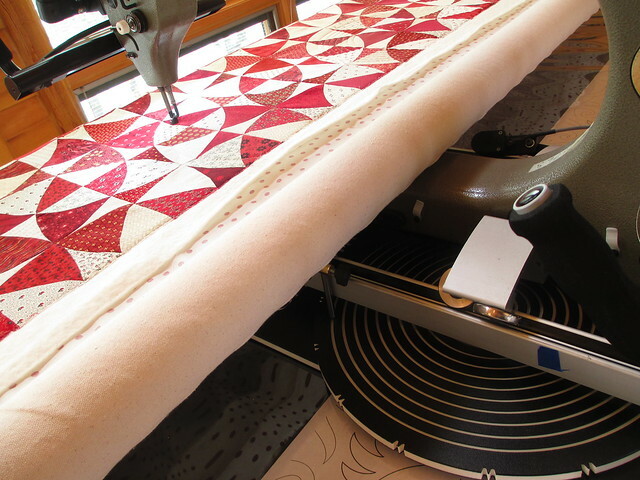 A stylus travels in groves in a template and guides the sewing on the quilt itself. 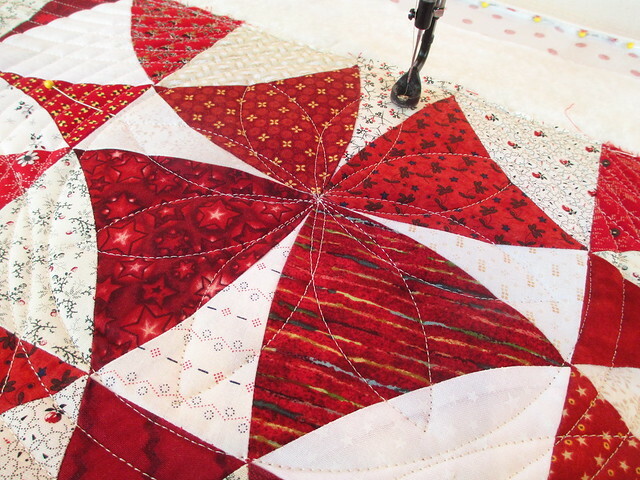 With this concentric circle template, when one circle has been sewn, the stylus must be moved to the next size circle to make the second circle of quilt stitching. 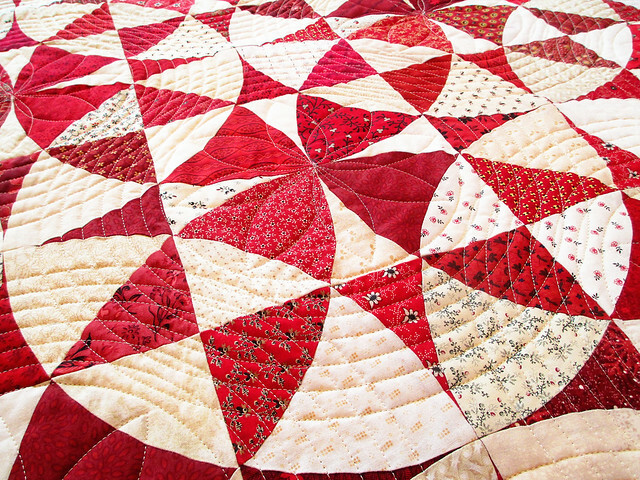 I did seven rounds of concentric circles of quilting within each large white circle of patchwork over the entire quilt top. I used a single layer of Hobbs 80/20 batting and cream colored Glide thread for this quilt. All the pieces for the patchwork were cut with the Accuquilt GO! Winding Ways die set. 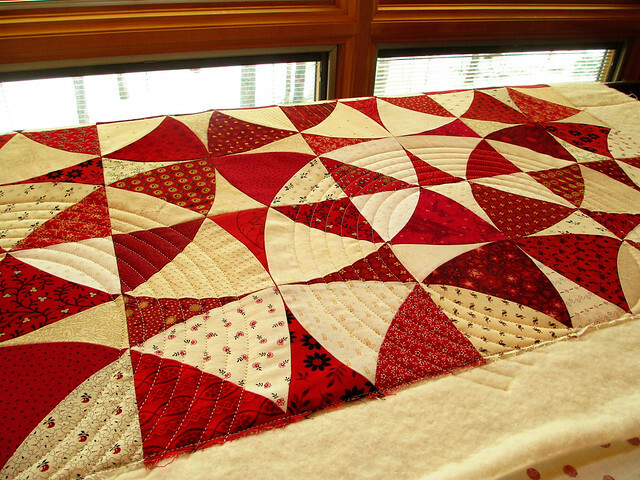 This entry was posted in Red and White Winding Ways and tagged "Winding Ways" "Glide thread" "Accuquilt GO!" 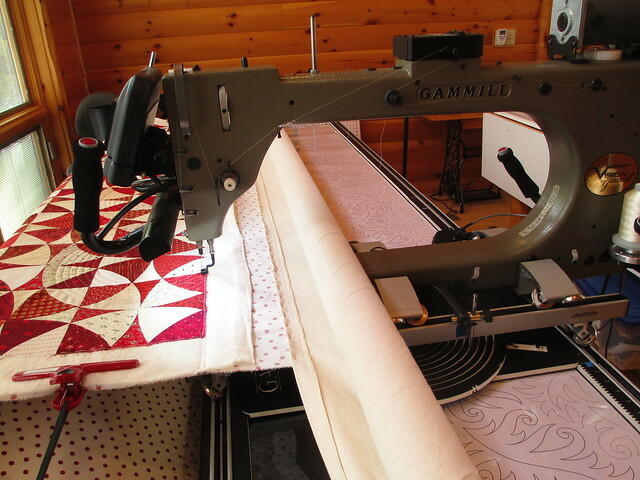 'Gammill Workstation" quilt patchwork. Bookmark the permalink. 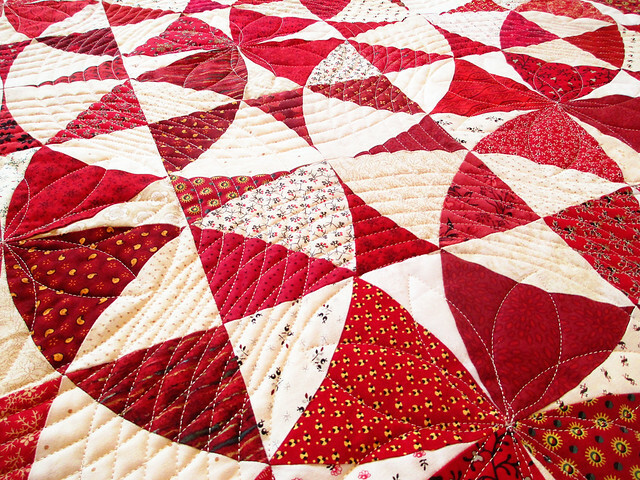 Wow that is just stunning, the quilt itself is gorgeous but the quilting just makes it really special! 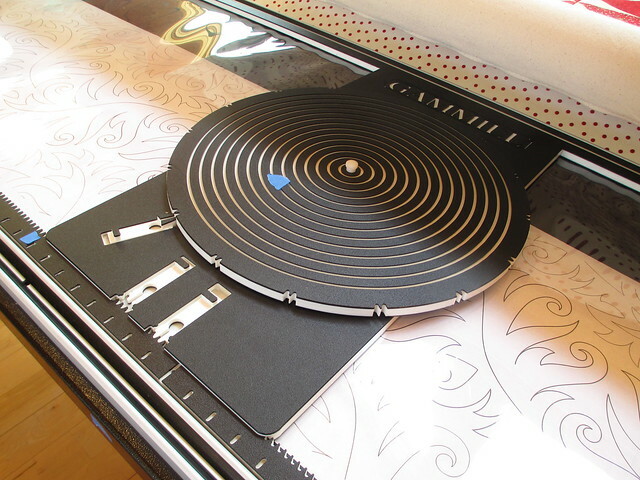 Fantastic and what a great tool for circular quilting. It made a great pattern, that added to the quilt. What a unique quilting plan. It turned out wonderfully! I love it! The polka-dot backing is icing on the cake! 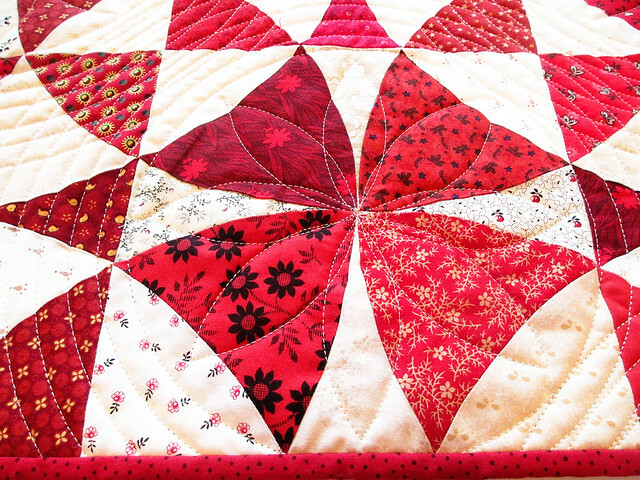 The quilting is a perfect addition to a spectacular quilt! Well done! Gorgeous. 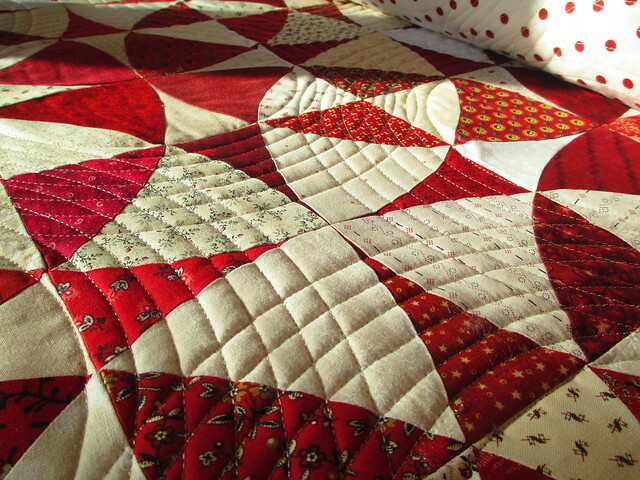 I love the Winding Ways quilts. I love this quilt. I have the die but haven’t used it yet. Also have a Gammill with the workstation & have used it a little. 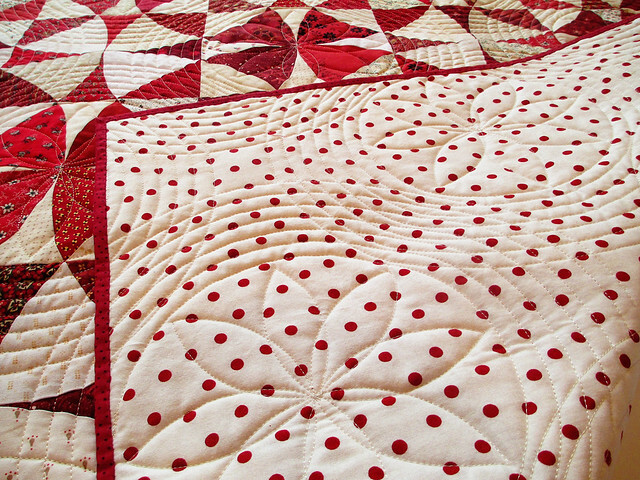 Love the way you quilted this. You did a masterful job on this. It is just beautiful! Very very nice. Love the choice of machine quilting. Well done! 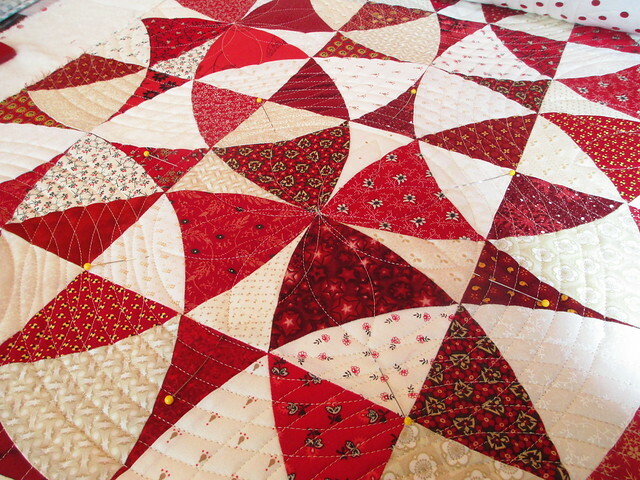 The quilting on the circles works so well. Excellent choice for a stunning quilt. 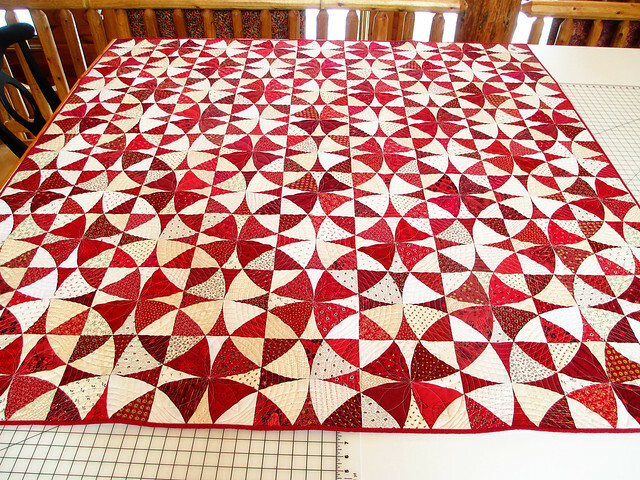 gorgeous your quilting is perfection on that quilt!!!! 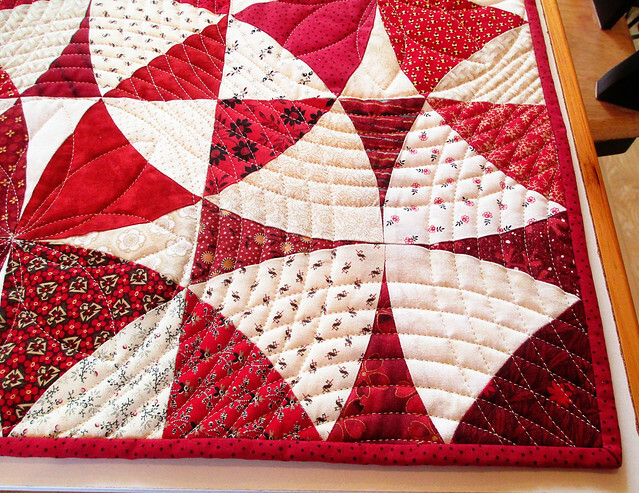 That quilting is GORGEOUS! Thanks for sharing so many pictures of how you accomplished it. 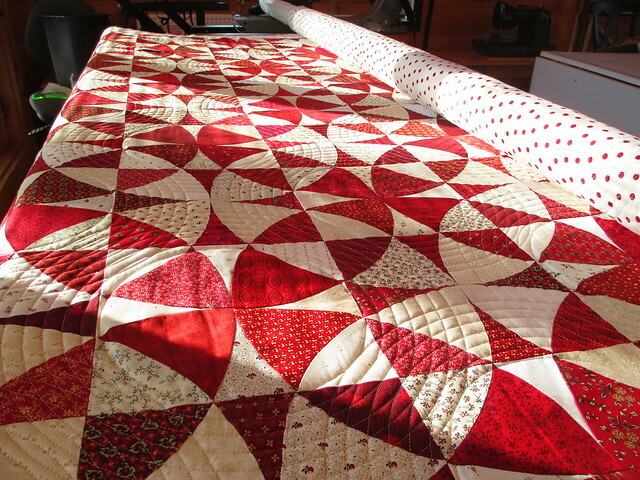 What a wonderful two color quilt and the quilting just makes it shine even more! Did you make the top as well? Linda, I did make the Red and White Winding Ways top. I am trying out this new theme from Word Press. Unfortunately, the search box is at the bottom so you have to scroll all the way down to find it. Enter “Red and White” in the search box and you will find links to two additional posts about my making of the R & W WW.